While honey is one of the most popular ingredients on kitchen shelves the world over, honeybee pollen is still a relatively rare find in most households. It's not hard to guess why: eating pollen just sounds weird... it would probably sell a lot better if it had a more appetizing name, like honey. Furthermore, it looks unlike any other common ingredient, and the smell can be off-putting to some. But it's good, it's healthy, and it's altogether pretty awesome! 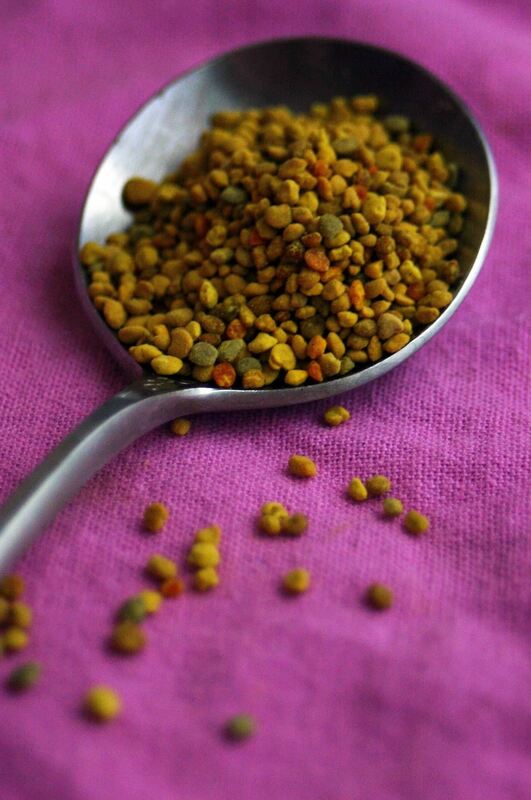 Bee pollen is the pollen that honeybees collect from flowers. The bees collect pollen all through the day and store it on their legs in seed-like granules, fused together by honey. These pods are then used to feed their young, though they don't need nearly as much pollen as they collect. Beekeepers who wish to harvest pollen set up a trap of sorts at the entrance to their hives. When the bees fly into the hive, some of the pollen granules are scraped off of their legs and collected, while enough is left on the bees to adequately feed their young. 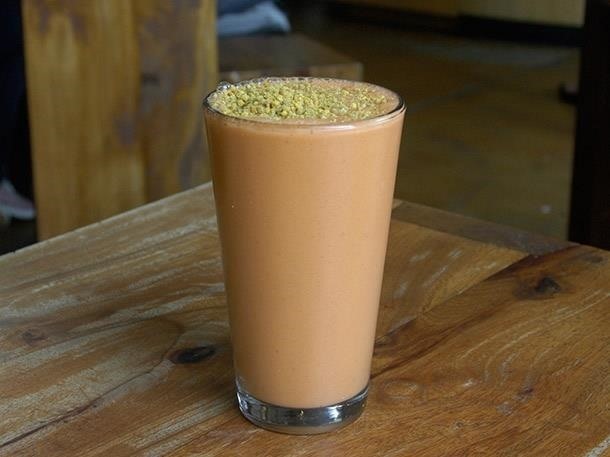 Some people just really love the taste of bee pollen, but it's primarily eaten for health reasons. It contains all 22 of the elements that together compose the human system, and nearly every B complex vitamin. And yet, that's only the start of the nutrients and benefits held in bee pollen. Says cancer specialist Ernesto Contreras, "To my knowledge, there is no better and more complete natural nutrient than honeybee pollen." For all of pollen's great health benefits, some are exaggerated (or at least unproven). Pollen is popular among fad dieters, as it is often touted as greatly increasing energy, while aiding weight loss, even though these claims have not actually been proven. Furthermore local pollen (along with honey) is often credited with helping people combat local allergies, though this has been disproven. Even without these super effects being substantiated, it's undeniable that pollen is an extremely healthy food. There is a host of different ways to eat pollen, though it's suggested that you start small if you've never eaten it before (start with a few granules, then move to a large teaspoon, just in case you have an allergic reaction). Pollen has a mild honey flavor (which is attributed to the regurgitated nectar that the bees use to hold the pollen together), and tastes quite floral. My favorite use? Vinaigrettes. 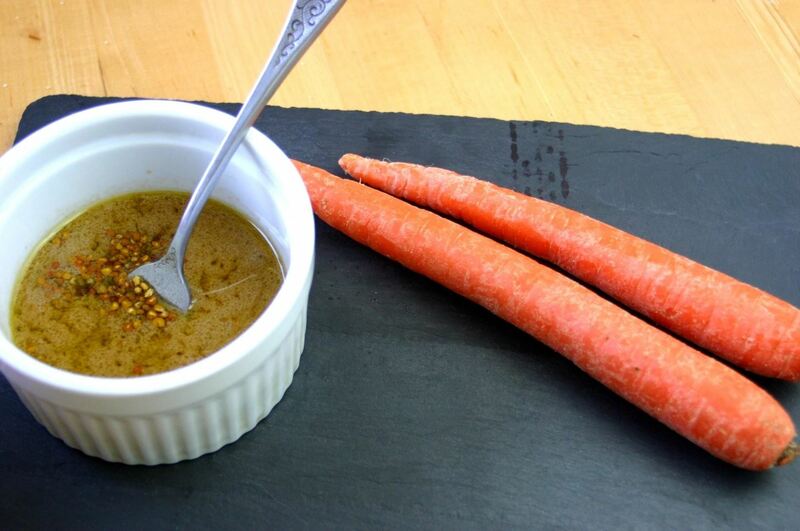 Let a half teaspoon of granules dissolve into a vinaigrette and you get a wonderfully sweet and unique flavor. It's also very popular on top of cereal, in granola, and in smoothies, and I think it's pretty tasty ground up and used as a seasoning on popcorn or sweet potatoes. 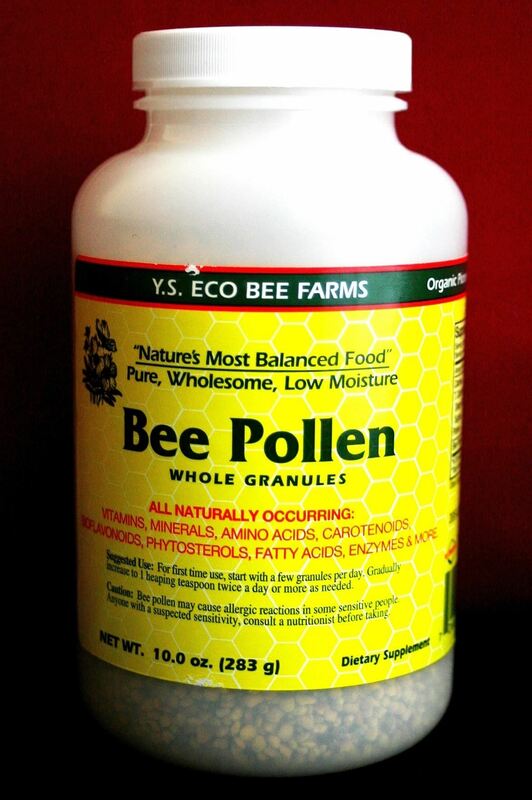 Bee pollen is easy to purchase. Check the shelves of your local health food or vitamin store. You can also easily order it online, too. Are you a bee pollen eater? If so, let us know your favorite use for it! Spice up your kitchen with unusual ingredients that will shock, amaze, and delight you. Find out why fish sauce is one of the most useful condiments you can cook with. Hops aren't just for beer—they taste great in food, too. And it's zucchini blossom season! Make sure you grab your share of these delectable edible flowers now.